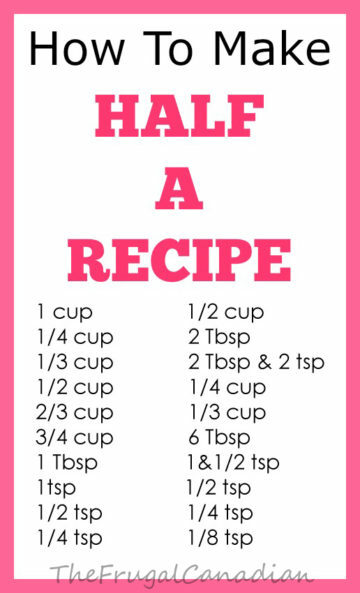 If you are like me then sometimes you just want to make half a recipe. Either you will be the only one eating, maybe you don’t have enough ingredients to make a full recipe or sometimes you just want to save some money! 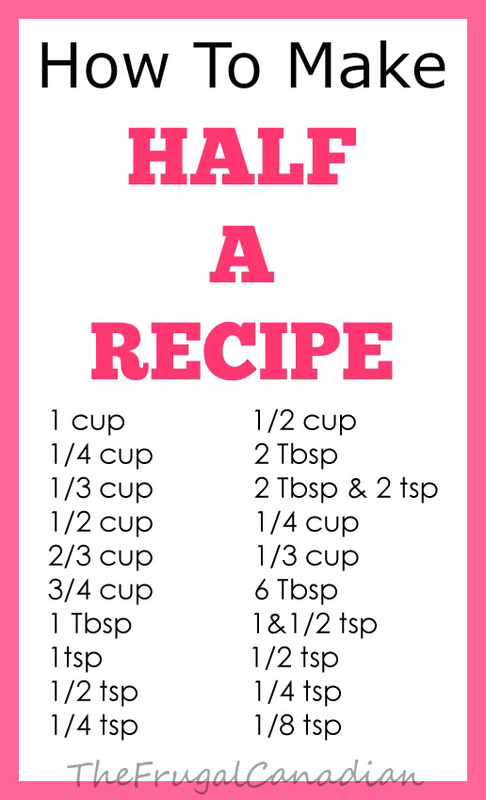 Whatever your reasons are this handy chart I’ve created will help you with making just half of your desired recipe. Feel free to print it out and to stick it on your fridge for easy referral.